When should top players meet in a tournament? In any sport, it's undesirable for the top players to play against each other during the early stages of the tournament. When it happens some of them will be knocked out or be out of contention for the top prize. 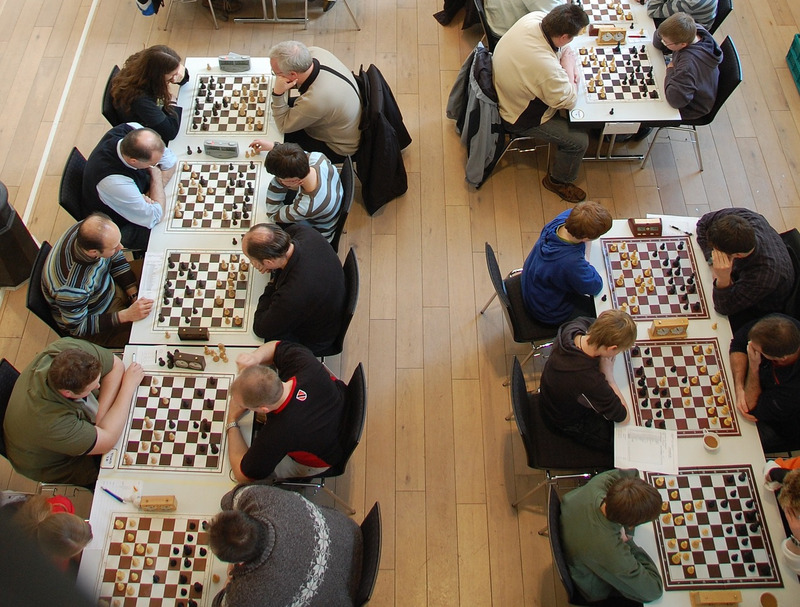 That's why almost all chess tournaments involving a large number of players employ the swiss pairing system. If we take as an example a swiss tournament with 50 players and 5 rounds, the top two players will meet in the fourth or fifth round provided that both of them have managed to defeat all weaker opponents. Thus the overall winner isn't known until very end of the tournament. Now suppose the same chess tournament was conducted using King Of The Hill pairing (In chess KOTH is actually known as the Monrad system). Because players are seeded based on their pre tournament rating, if both the top players win their first round game, they would be adjacent to each other in the standings. King of the hill, the simplest pairing system of them all pairs 1 against 2, 3 against 4, 5 plays 6 etc. Thus top two players would be paired against each other in the second round itself. If they draw their game someone else might go on to win the tournament! If either player wins, the loser is immidiately out of contention for the top prize and we are only just at the start of the tournament! How does it work at Scrabble tournaments that employ KOTH? Lets look at the results from the Sri Lanka Age Group Scrabble Championship 2015 to see what happens. Janul entered the tournament as the third highest rated player. Migara had the highest pre tournament rating and he also happened to be the champion of 2013. They met in the second round and Janul lost. Hasindu was 4th in pre tournament ratings and he entered the tournament as defending champion. He met 5th rated Janidu in the second round. Hasindu lost. Which meant at the end of the seond round the defending champion had practically been knocked out! This statement clearly isn't very accurate, the following table which highlights the number of prize winning players met by each top 10 finisher provides more proof. It allso provides the Average Opponent Rank for the same players. As well as their Average Opponent Rank. Three of the prize winners have not played against any other prize winners at all. Akshai has not played any prize winner and as will be shown in section 2.4 has not played with any top ten rated players either. The last round of the tournament saw Aabid paired against Hansi as they were ranked first and second based on round 5 results. This was the only occasion where the champion was paired with another prize winner or another top rated player. Thus King Of The Hill pairing has failed to ensure that top players meet towards the end of the tournament. « Average points scored in a game of Scrabble.